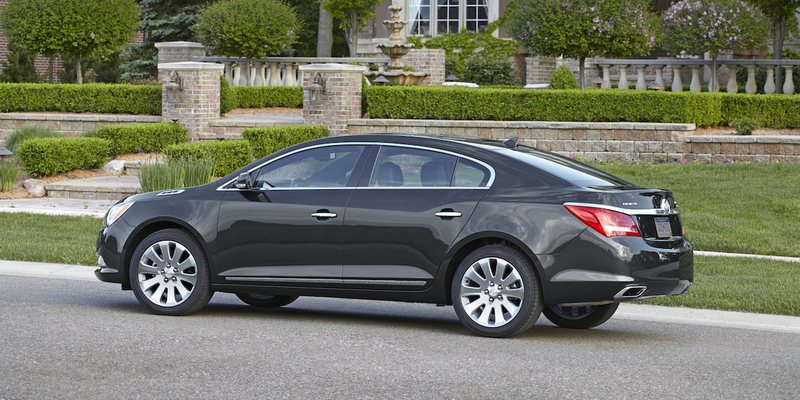 LaCrosse combines big-car room, comfort, and quietness with surprising fuel economy in base 4-cylinder form. Visibility is restricted by rather thick roof pillars, and the 4-cylinder version isn’t exactly quick. The base 4-cylinder engine mates with a relatively small electric motor in what Buick calls “eAssist.” We call it a “mild hybrid,” and there’s no denying that it provides excellent fuel economy for such a large car. A V6 is also offered, and it’s mandatory when opting for all-wheel drive. 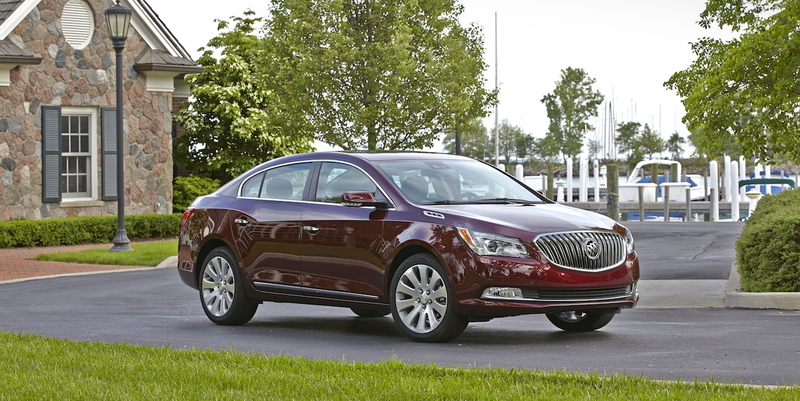 While LaCrosse is Buick’s largest car, it’s available with one of the smallest engines in the class. 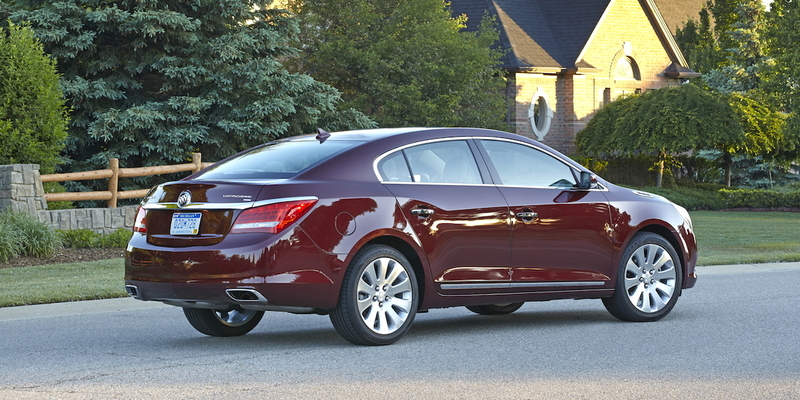 This generation of LaCrosse arrived for 2010 as a large car powered by a 4-cylinder engine in base form, with V6 engines available. 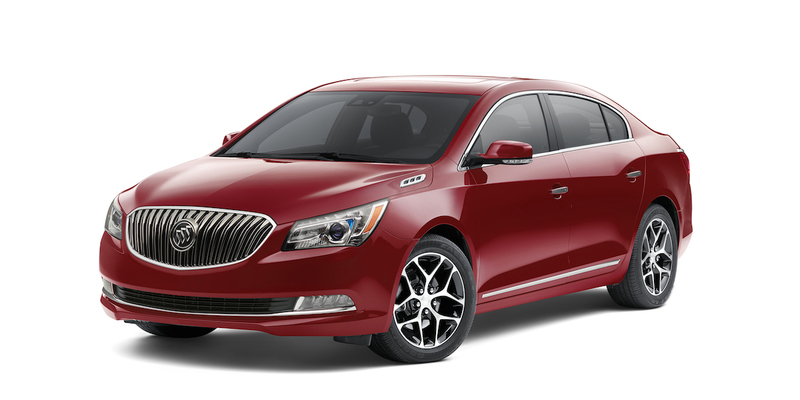 For 2012, the 4-cylinder got Buick’s eAssist mild-hybrid system that boosted both acceleration and fuel economy. For 2016, LaCrosse’s IntelliLink infotainment interface is updated with Apple CarPlay and Android Auto capability and dual USB ports. Also, 20-inch wheels are optional on Premium AWD models. In Consumer Guide® testing, a 4-cylinder/eAssist LaCrosse averaged 27.5 mpg, a great result given the car’s size and heft. All models use regular-grade gas, and the V6 can run on E85 ethanol. We consider the LaCrosse a large car, while GM thinks it competes against premium-midsize entries such as the Lexus ES 350. 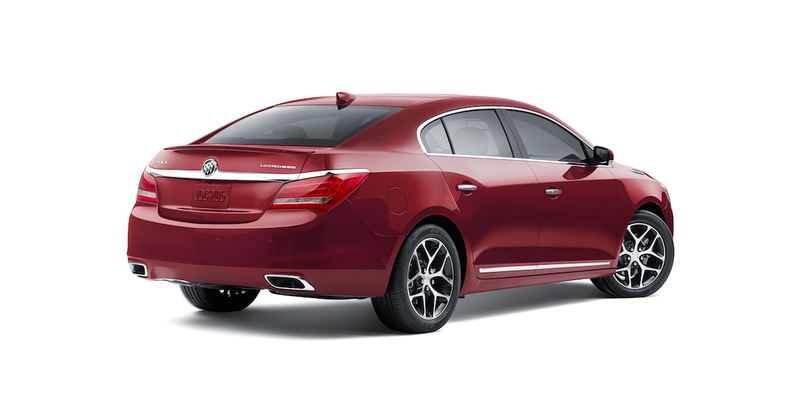 LaCrosse acquits itself very well in both segments, though maybe not against sportier models like the Chrysler 300 or Acura TLX. Shoppers who are looking at any car in this price class would do well to give LaCrosse a close look.